Hours after NPR reported that troubled California utility PG&E was weighing a sale of its natural gas division to cover potentially billions of dollars in fines that could result if its equipment is found to have caused the deadly and destructive wildfires in southern and northern California late last year and in 2017, Reuters followed up with a report that the company was weighing a(nother) bankruptcy filing for some or all of its business to protect itself from what could be billions of dollars in fines. 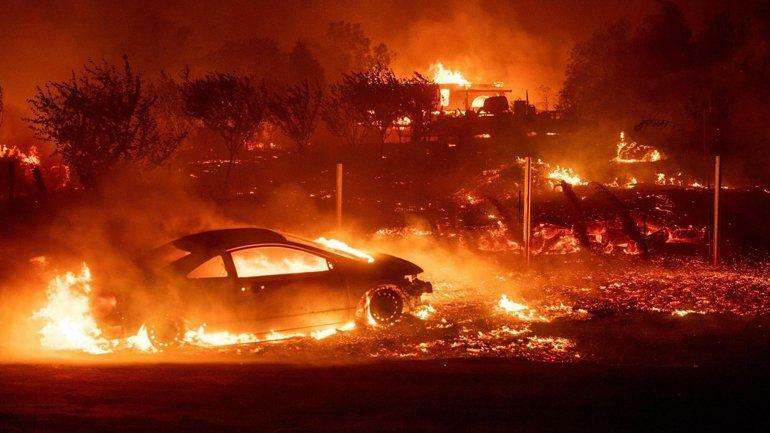 The news is the latest shock to PG&E shareholders after the company said in November it expects to take a sizable charge to its Q4 earnings as it anticipates massive legal payouts related to the Camp and Woolsey fires, which killed at least 86 people and destroyed 18,500 homes and incinerated most of the Sierra foothills town of Paradise. The company said in November it could face a "significant liability" exceeding its insurance coverage if its investigators determine that its equipment did indeed cause the fires. Meanwhile, in addition to PG&E's shareholders, the other biggest losers here are the citizens of California who now face an almost assured increase in their utility costs - either by a forced prefunding PCG's legal reserve, or by having whatever utility monopoly is left take over and crank up the bill as customers have no other alternatives.